Consisting of 55 hectares (136 acres) in Pauillac, Chateau Batailley is one of the oldest estates in the Medoc and played host to a critical point in the development of the Aquitaine region. In fact, the estate is named Batailley, after a 1452 bataille, or battle, between the French and the English during the 100 Years War, during which the French regained control of the nearby Chateau Latour. A few short years later, the first vines were planted on this one time battlefield. Then the estate received new life when the gardens and park were designed by Barillet-Deschamps, garden architect to Napoleon III. Nevertheless, despite it’s somewhat tumultuous past, the estate would go on to gain recognition as Fifth Growth in the 1855 Classification ordered by Napoleon III. 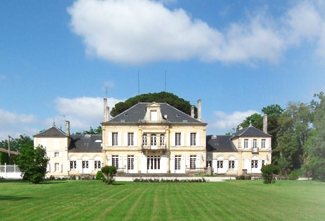 Like most Bordeaux estates, Chateau Batailley has a long and complex history. But in 1932, the Borie family, owners of negociant Borie-Manoux, purchased the estate and it has remained with this prominent Bordeaux family since that time. Today, Phillippe Casteja, grandson of Marcel Borie, manages the negociant business as well as the family portfolio of estates, of which Batailley plays a starring role. Under his leadership the estate has undergone a subtle increase in quality. Combining 70% Cabernet Sauvignon, 20% Merlot, 2% Petit Verdot and 3% Cabernet Franc, the Batailley vineyards consistently produce excellent wines with the typical Pauillac characteristics of cassis and a firm structure. Aged for 16 to 18 months in oak barrels, 55% of which are new each year, the wines show great finesse and character. In addition to vintages available in stock, Millesima offers Chateau Batailley wines, in a wide range of vintages and formats, as pre-arrivals and futures.